Home »Tips & Tricks »Achieve the perfect Burlesque look for your Burlesque Hens! One of our most popular themed packages is our Burlesque Hens package. Who doesn’t love feathers, fishnets, corsets and of course the gorgeous hair and make up? With an amazing burlesque performer, burlesque dance lesson as well as cocktail on arrival and an all inclusive canape and beverages, the package’s popularity is not surprising. 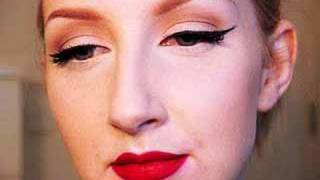 In order to achieve the perfect look for a burlesque hens themed night watch these helpful video tutorials. They’ll get you looking amazing! Ebay is your best friend here, just click to find an endless supply of amazing Burlesque outfits that are very reasonably priced. We look forward to seeing you at looking fabulous at a Burlesque Hens soon!